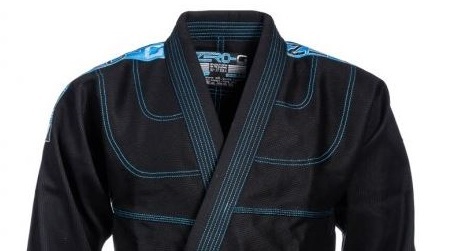 This review article will examine Tatami Fightwear’s Zero G V3 gi. 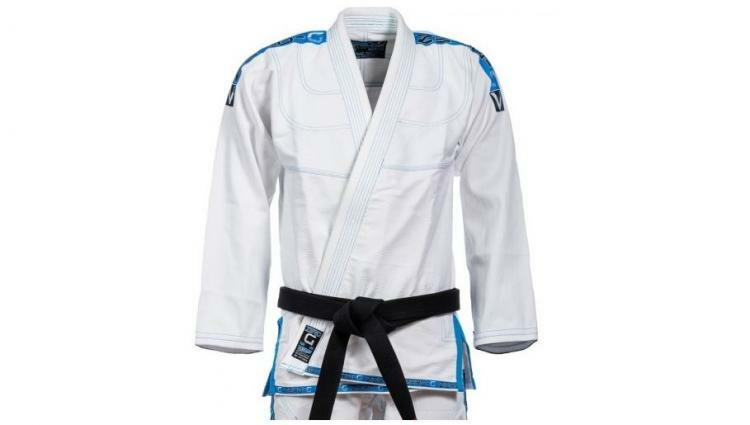 This gi has been designed and marketed by Tatami as a competition gi that meets the International Brazilian Jiu Jitsu Federation (IBJJF) uniform guidelines. In addition to being a competition oriented gi, the Zero G is a lightweight gi that is also great for use in the summer. I bought my Zero G gi after having good experiences with Tatami’s Nova gi. The following content will provide descriptions of the most recent version of the Zero G, which is the V3, and how Tatami improved it from their previous design. 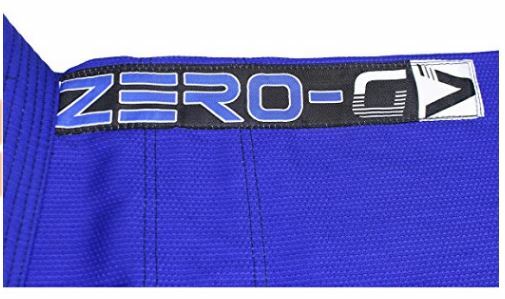 Color Options: The Zero G gi color options are white, blue and black. Fabric: The Tatami Zero G consists of a pearl weave jacket made from a single piece of fabric. Additionally, the weight of the fabric in gram per square meter (GSM) is 475. Tapered Fit: The gi jacket is tapered to have the arm sleeves become significantly narrower towards the wrist. Logos: Logo patches are visible on both shoulders of the gi jacket with the embroidered “Zero G” wording on the back of the neck. The edge of the gi’s skirt has these words repeating throughout as well. Compared to the previous Zero G gi version, Tatami’s slight changes in the logo design and placement plus the new skirt trim design gives it an appealing look while also following IBJJF guidelines. Collar and Lapel: Rubber is used as a filling for the collar and lapel to prevent moisture absorption and promote faster drying. The results of these two characteristics will then impede bacterial growth along this portion of the gi. To increase the durability of the collar and lapel, Tatami added a ripstop material to cover the rubber. Stitching: 10 oz. cotton stitchings are used to reinforce all stress areas of the gi jacket and pants. The stitching color contrasts with the gi material and enhances the uniform’s appearance. Fabric: The Zero G pants are made from 10-11 oz. ripstop material. Logos: Patches on the gi jacket is also stitched onto both sides of the pants leg. An additional small patch is located on the front of the pants by the upper right thigh. Tapered Fit: The pants is tapered so that it becomes skinnier towards the ankle. Reinforced Knee Padding: Zero G previous pants version has the standard rectangle design for their reinforced knee padding. The most recent V3 model incorporates a unique diagonal design that adds to the uniform’s stylish look. This knee padding area consists of two layers of ripstop material. Stitching: Like the stitching used for the gi jacket, the pants legs also has contrast stitching colors. Belt Loops: Tatami increased the Zero G gi pants belt loops number from two to four. Additionally, these belt loops color matches the pant’s stitching color. 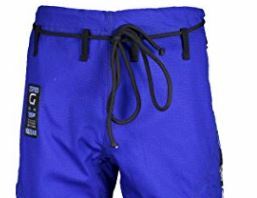 Rope Drawstrings: Tatami kept their rope drawstrings for this version of the Zero G. This drawstring component is consistently featured in other Tatami gi options as well. This short video displays the Zero G gi’s appealing features at various angles. The tapered design of this gi gives it a more snug fit than my Nova gi, Tatami’s beginner gi option. This tapered fit did not hinder my movements during sparring sessions. Zero G’s tapered feature is ideal for jiu jitsu practitioners with skinny limbs who do not like the bagginess from non-tapered BJJ uniforms. However, the Zero G may be uncomfortably tight for stockier grapplers. I am a big fan of the Zero G’s tapered cut because it felt comfortable and looks fantastic as well. Furthermore, having a tapered cut will give you a slight competitive advantage because there will be less fabric for the opponent to grab and hold onto. Beyond the tapered cut, this Zero G lightweight gi selection allows you to shave some weight off the scale and move quicker during your matches. Tatami has expanded the sizing options available for the Zero G. Additionally, they have also integrated dimensions and cuts that are tailored to female jiu jitsu practitioners. One complaint among owners of the Zero G is the length of the drawstrings and how it can be quite long. My solution to this problem is to simply tie the drawstrings into a double-knot. Increasing the number of belt loops to four has helped distribute the drawstrings more evenly and prevent it from riding over the gi pants. Even though the Zero G is a lightweight gi, this fact has not affected its handling and durability to withstand long sparring sessions. The Zero G’s collar and lapel are thinner and not as sturdy as heavier gi alternatives. However, the addition of the ripstop material to cover the collar and lapel portion of the gi is a great preventative measure against tears that occurred with my Tatami Nova gi. The previous version of the Zero G paired up the gi jacket with pants that were made from 8 oz. cotton. Tatami has traded this lighter option for a heavier but longer lasting and tear resistant material. The ripstop material does have a different feeling compared to the standard cotton pants. 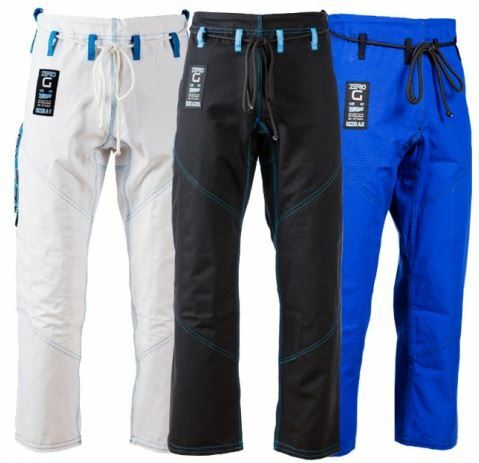 Preference between the ripstop and cotton material varies among jiu jitsu practitioners. The Tatami Zero G currently runs in the range of $120 to $130, excluding shipping costs and taxes. I personally think this price is great for a lightweight gi that is suited for training in the summer and acts as a competition gi that fulfills IBJJF requirements. Moreover, its innovative design makes it stand out among the more plain gi worn by fellow teammates. The purchase of a Zero G also includes a free double drawstring gi bag! If you are not looking to compete but want to check out another quality BJJ gi, check out our Tatami Nova Gi review.